Those of us in the industry know how impressive promotional products can be. However, your clients may not: They see them as cheap knickknacks, with no idea of the product potential at their fingertips. It’s time to change that. In this guide, we’re highlighting retail-quality products created for big brands, and explaining the features that take them from drab to fab. With these examples at your disposal, you can upsell your clients to higher price points – and promos consumers would be happy to pay for – even if they don’t have to. Deliver designer style without the designer price tag. Totes are one of the most time-honored items in the business, but not enough suppliers take advantage of all they can do with them. Educate your clients on their options beyond the basic grocery tote, and get them thinking about their favorite handbags at home: name-brand style can be replicated for their promotions. It's all about texture. This 12-oz. 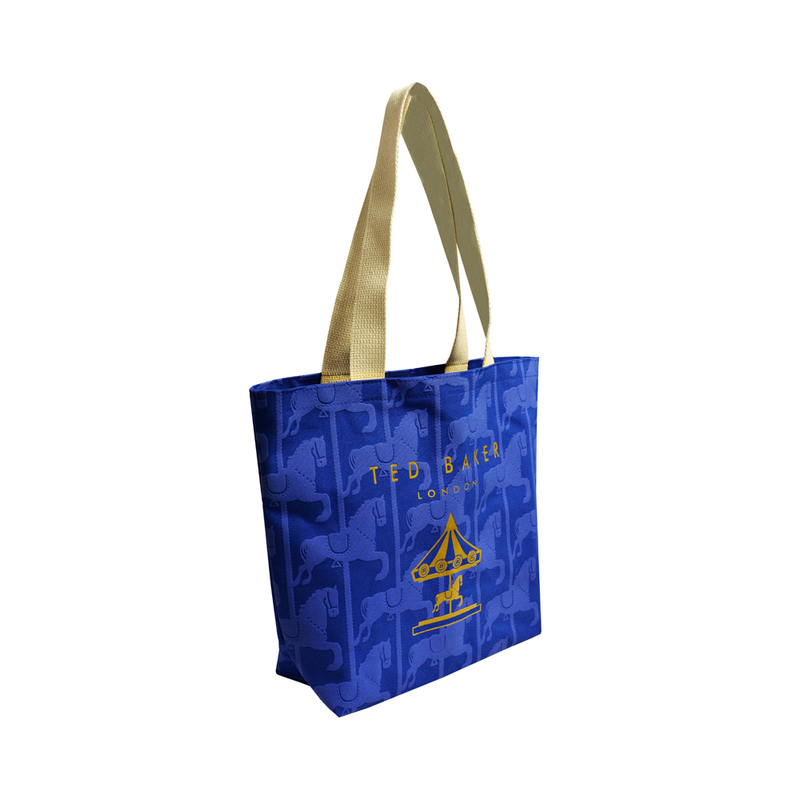 canvas tote is treated with seam-to-seam puff printing and metallic gold overlay of Ted Baker’s name and logo. Unlike standard screen-printing, these decoration options create depth and a designer feel basic bags can’t touch. Boring bags are for the dogs. This 10-oz. 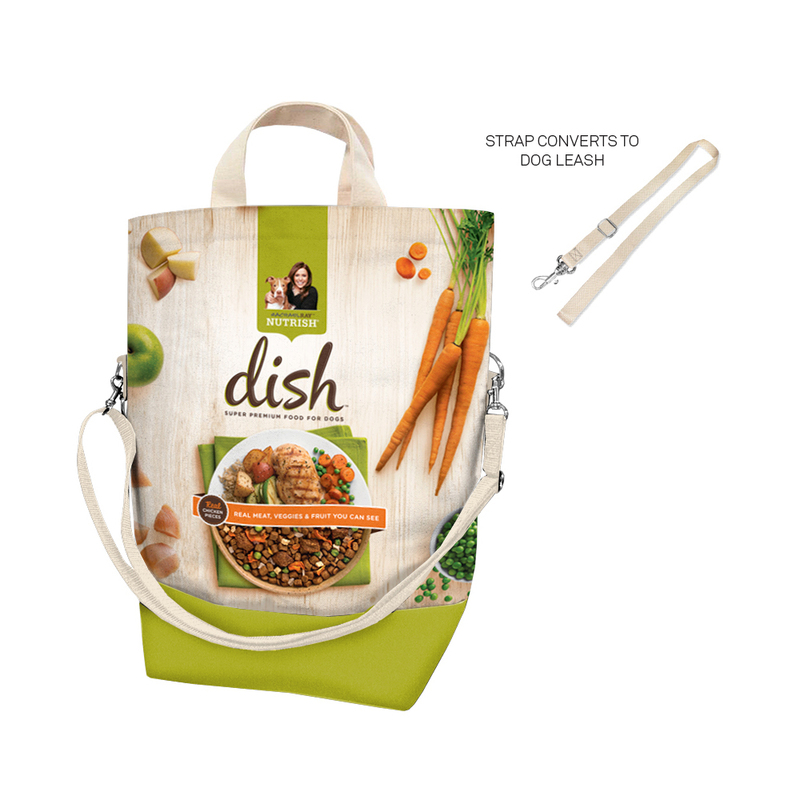 canvas satchel features a detachable shoulder strap that converts to a dog leash – perfect for Rachael Ray’s initiative of promoting a new line of dog food. Dual carry straps also help pet owners carry all their items effortlessly, whether they’re lugging groceries into the house or Fido’s favorite toys to the dog park. Good design can be good for the environment. This stylish tote is made with designer felt created from 100% recycled soda bottles. 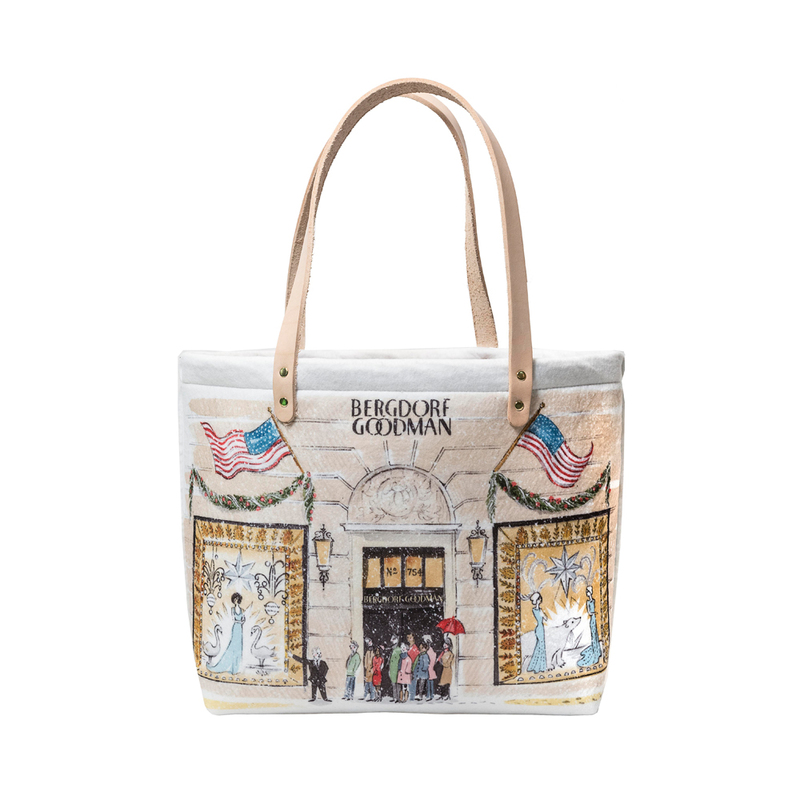 Full dye-sublimation printing helps bring Bergdorf’s brand to life, while brass rivets and authentic leather handles provide an elegant touch end-users can feel for themselves. The schoolyard staple just got an upgrade. Backpacks have burst into the mainstream and major fashion labels, like Gucci, Fendi and Prada, are taking note. While your clients’ first thoughts on backpack-users are probably grade schoolers, these bags are trending with college kids, millennials and adults too. Decorate accordingly to target these age groups – a basic screen-printed logo isn’t going to cut it. A cool beverage needs a cool bag. 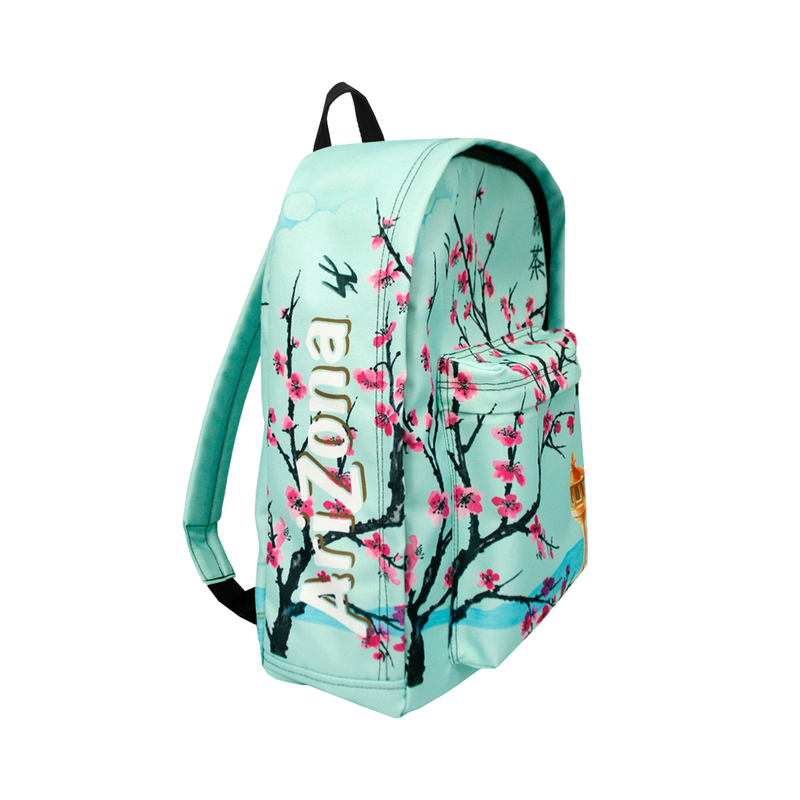 Full dye-sublimation flawlessly reproduces the iconic design of Arizona cans, and the heavy 10-oz. poly duck canvas is sturdy enough for students to carry laptops, textbooks and hey, maybe a can of iced tea, too. The end result? Retail style that looks like it cost way more than 99 cents. This creative promo is packed with character – Bubbles, Blossom and Buttercup, to be exact. 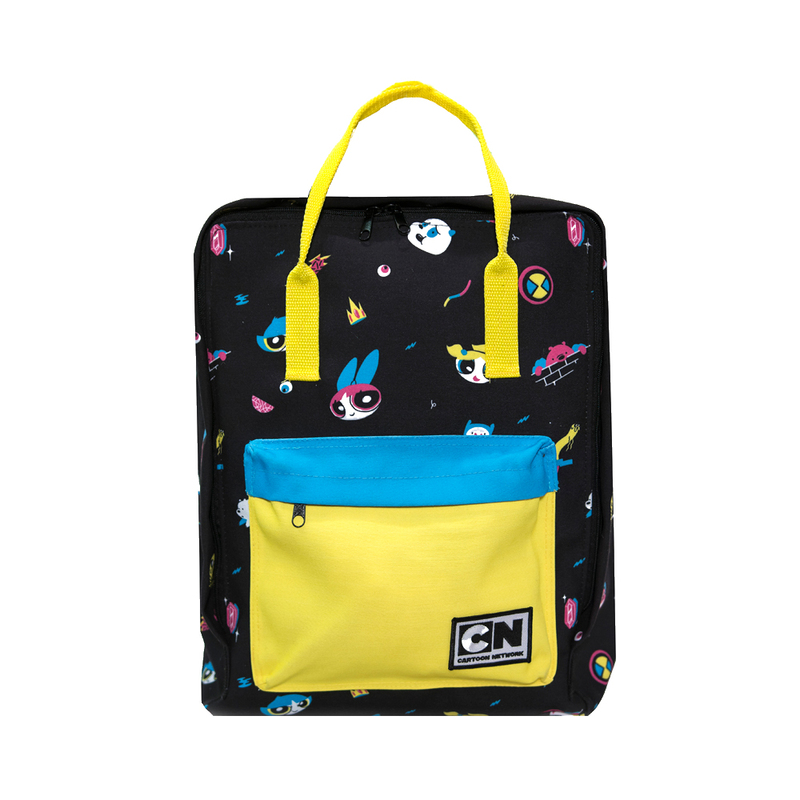 Full dye-sublimation printing brings The Powerpuff Girls to life on this city dweller-styled backpack. Rather than one small imprint area, this backpack utilizes every advertising inch available: The company logo is just one piece you’ll notice, not the sole decoration. Simple drawstrings get a stylish makeover. While some suppliers might opt for the obvious choice (blue) for this performance art group, there’s a world of possibility for creative coloring. 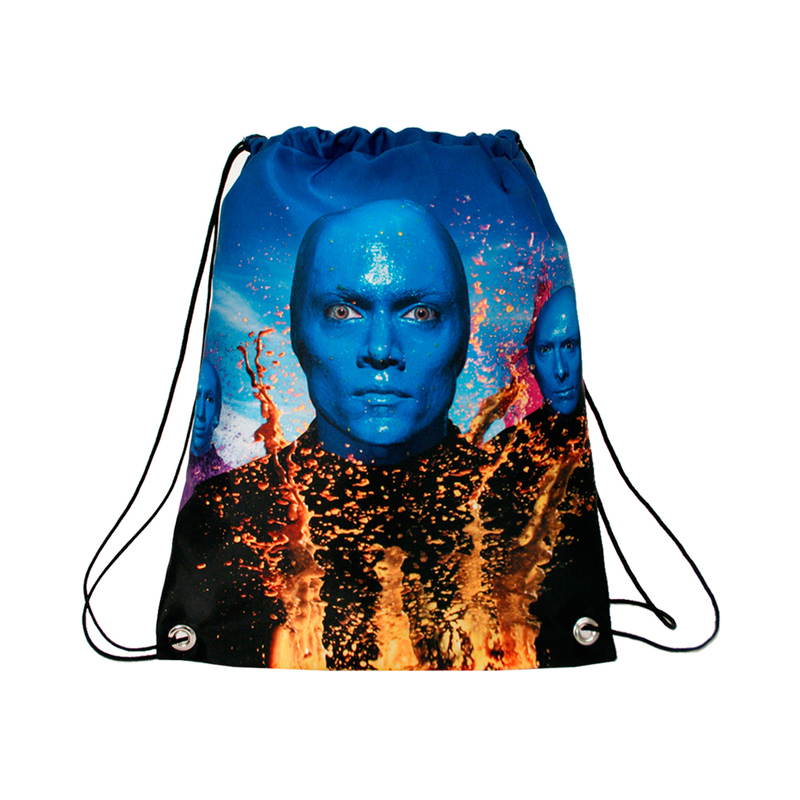 Made with heavy 300 denier polyester, this drawstring is perfect for sublimation printing on both sides that stands out and doesn’t fade. Win the beauty and travel market with these attractive items. Any makeup lover will tell you, proper storage for beauty products is a must, especially for high-end cosmetics (they’re not cheap!). What does this mean for your clients? High-quality makeup bags will be used every day. Plus, they’re great for increasing order sizes: Suggest your beauty clients give them out as gifts with purchase to win consumers over on pricey items with a free present. Classic style meets cosmetics. As one of the most influential American fashion designers in the industry, the Marc Jacobs name speaks for itself – that doesn’t mean that’s all you should imprint. Seam-to-seam printing gives this 10-oz. cotton canvas cosmetic case an exquisite, all-over design. Best of all, it’s made of recycled materials. From across the pond to your client’s hands. 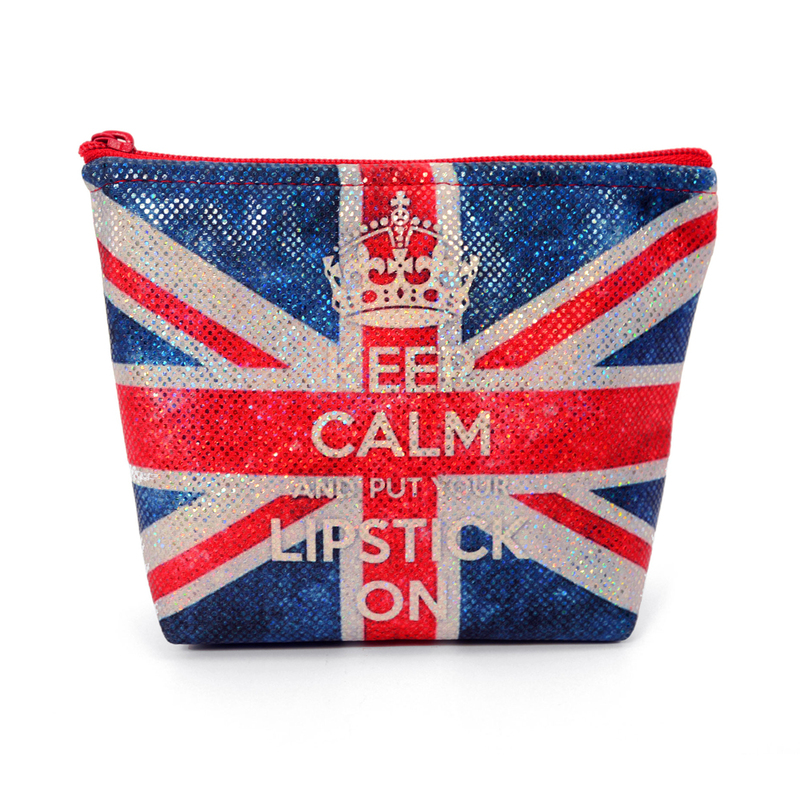 This British cosmetics line is known for delivering “the London look,” and these makeup cases do just that. The British flag is emblazoned across the front of this case using full-color sublimation printing, while holographic sparkles supply the flashy style the Brit brand is known for. MAC carries a wide variety of colors in their cosmetics line, and this striking design communicates that without saying a word. 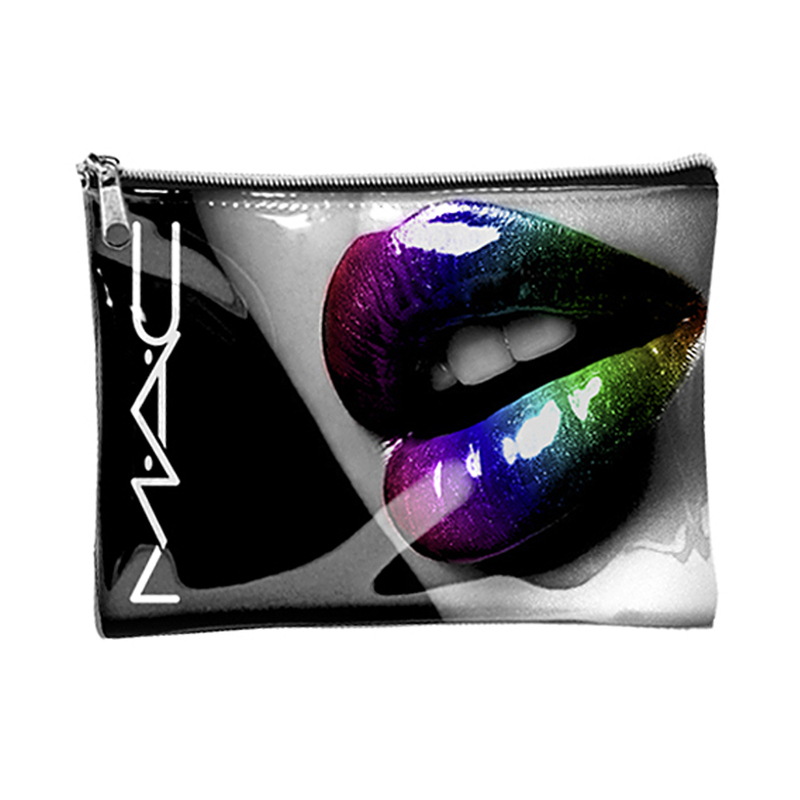 The perfect travel case, this bag’s vinyl-patent “under glass” coating gives it a high-gloss finish, just like the lip product it features. Pack up these promo ideas and you’re ready to roll. We know bags are one of the most popular promos, but duffels allow your clients to cash in on a customer group they might be missing out on. Gym bags and weekenders are great for targeting men, athletes – and anyone who loves the outdoors. High-quality bags will last longer and be used more, increasing your impressions and extending your exposure. Energize your creative efforts. 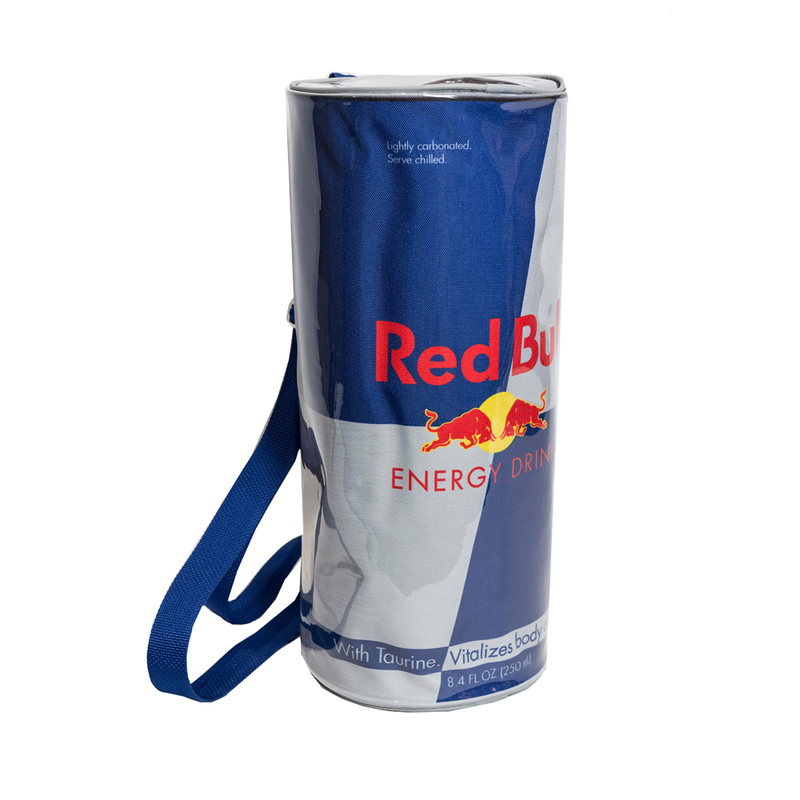 Anyone can put a logo on a duffle, but the right supplier can help you take it a step further, like crafting this giant Red Bull can. The “under glass” clear vinyl overlay gives this upright duffle bag some extra sheen. Imagine what kind of wings you’d get from an energy drink this size. Why duffels for this popular drink? 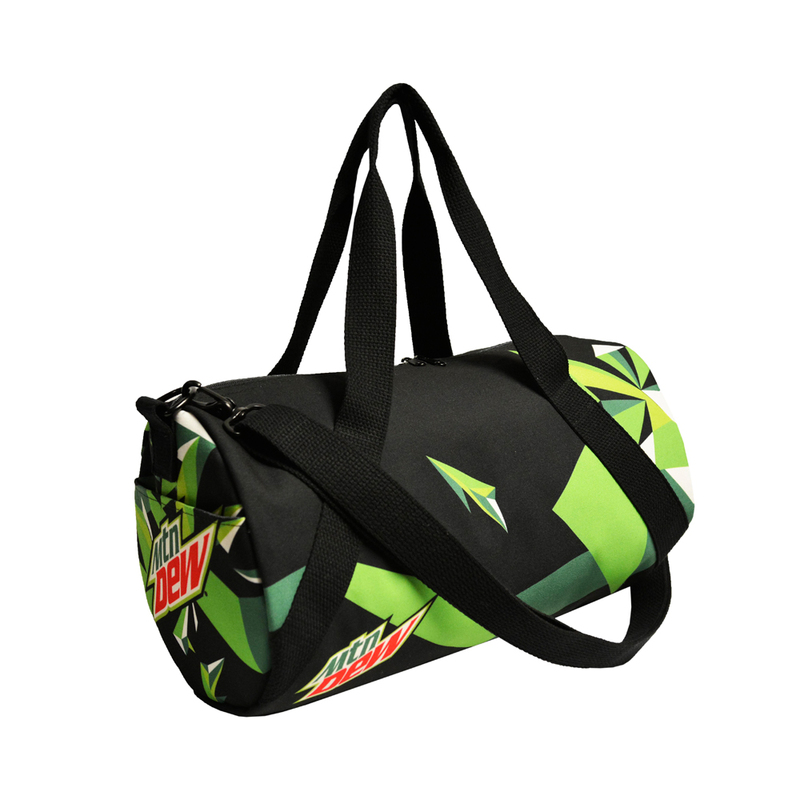 “Doing the dew” means fueling up and getting out there, which this metro-style duffle bag lets consumers do. Full dye-sublimation brings the iconic soda brand to new heights, while heavy poly-duck canvas is sturdy enough to withstand any rough-and-tumble situation end-users put it through. A refined brand needs refined promos. This designer 15-oz. 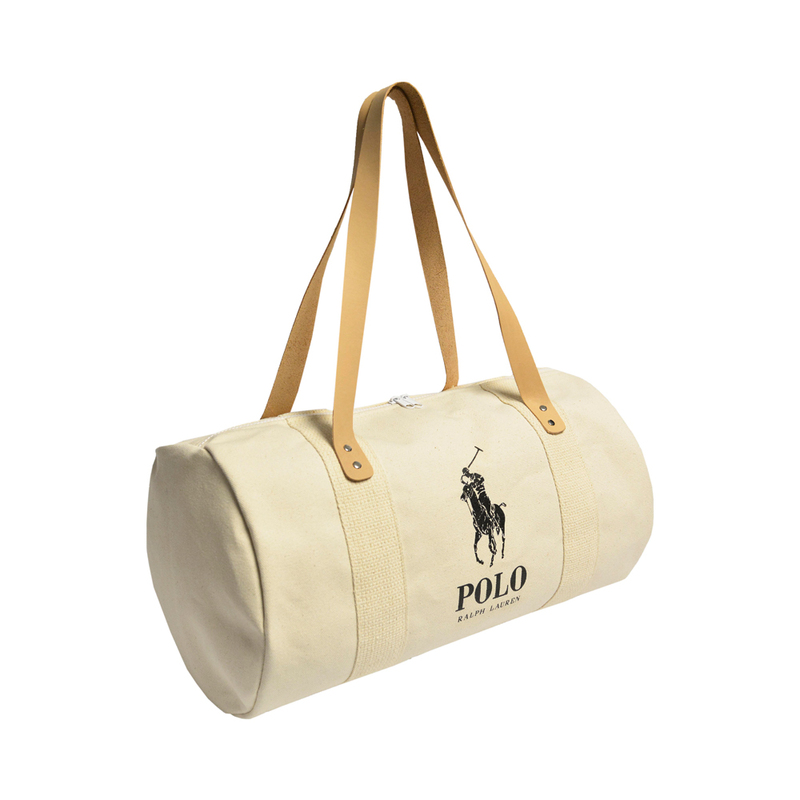 heavy cotton-duck duffle bag matches the quality construction Ralph Lauren is known for, which matters when a big-name brand is putting their name on a product. Tan leather handles complete the classic and contemporary design, honoring the apparel company’s time-honored look. Turn your designer dreams into reality. Promotional pillows will be the first things end-users see in the morning, and the last thing they’ll see every night – but they’ll only use them if they’re attractive enough to put on display. If you want your pillows to succeed, it’s crucial to invest in top-of-the-line style that clients will want to display at their branded and sponsored events: You’ll be counting money instead of sheep in no time. Talk about the purrrfect pillow. 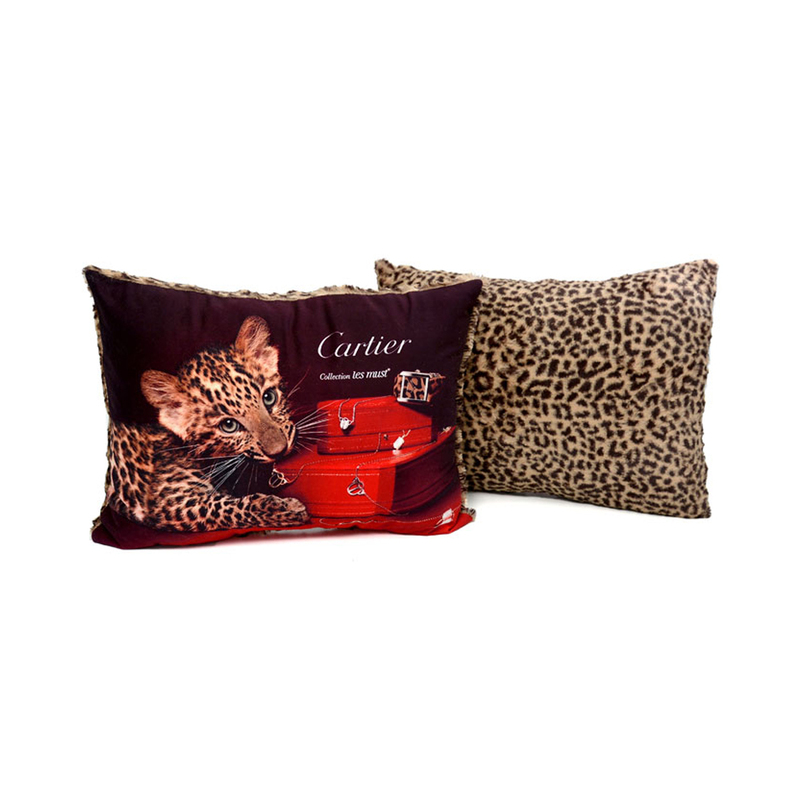 What better for showcasing exotic flair and fierce designs than a leopard? An ultra-soft velvet finish gives this pillow a plush look, but that’s not the best part: When end-users flip this pillow over to get to the cool side, they’ll be greeted with super-soft faux fur. Meooow. Have a drink and take a load off. 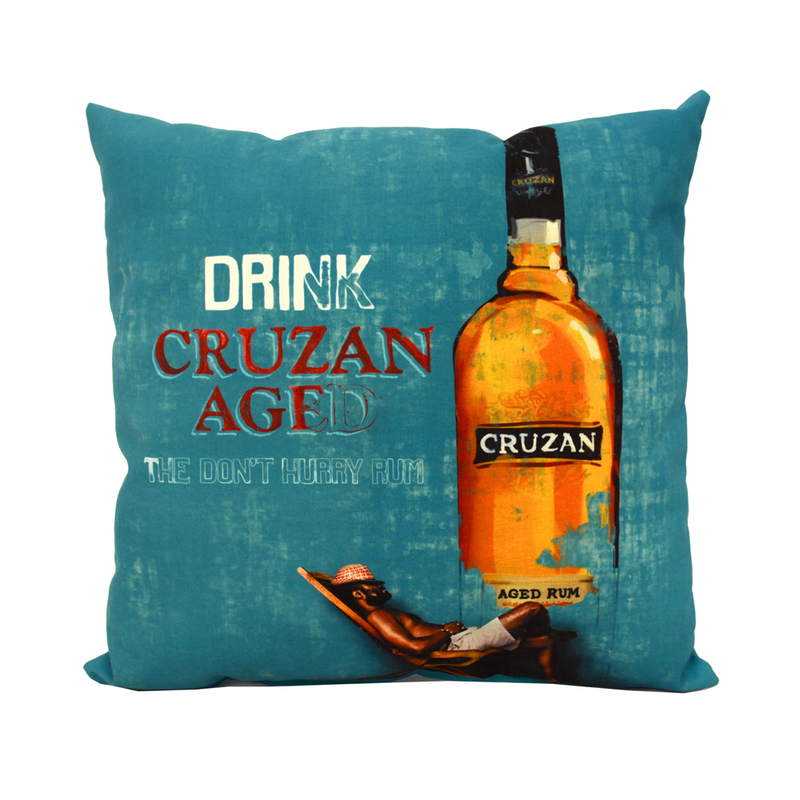 Pillows make a creative promo for this rum brand, whose campaign promotes kicking back and relaxing and what better item to accomplish that than a pillow? This 10-oz. poly-duck canvas pillow is filled with heavy fiber stuffing providing plenty of support for a post-drink snooze. Total relaxation for the traveler on-the-go. 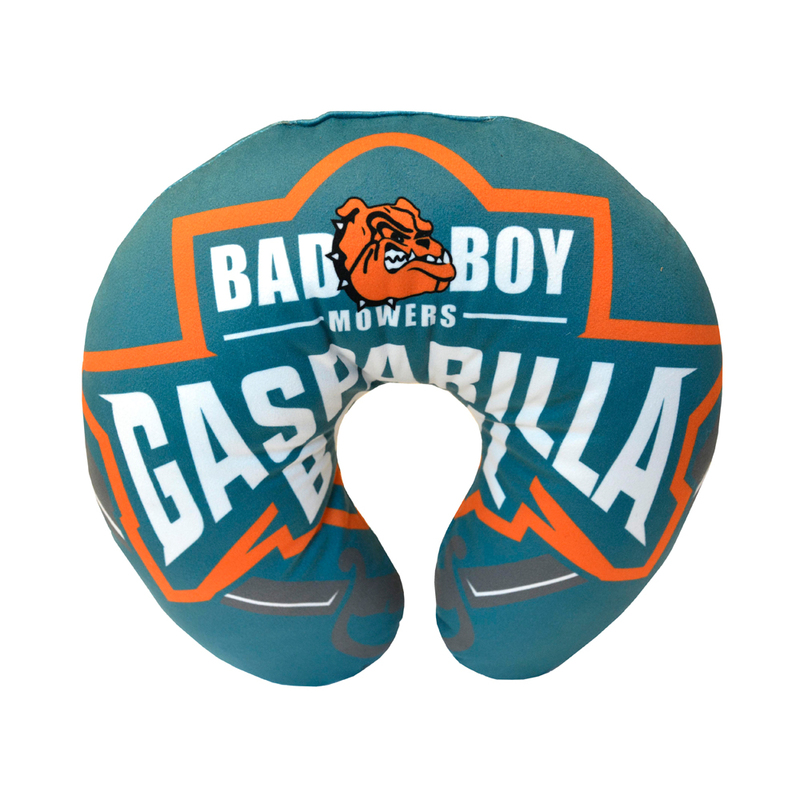 Neck pillows, like this one for a sponsored event, allow your client’s brand to follow consumers on trains, planes and beyond. This luxurious euro-velour pillow is covered with all-over full-color dye-sublimation printing, for bold graphics fellow travelers are sure to notice. Heat up your designs for the inspired chef. Aprons are an extremely underutilized wearable item, and are even more behind in fashion-forward styles. Your clients will not only stand out with a chic item their competitor’s aren’t creating, but they’ll also get the benefits of a promo worn and displayed daily in the kitchen when end-users cook. Aprons aren’t just for the kitchen anymore. 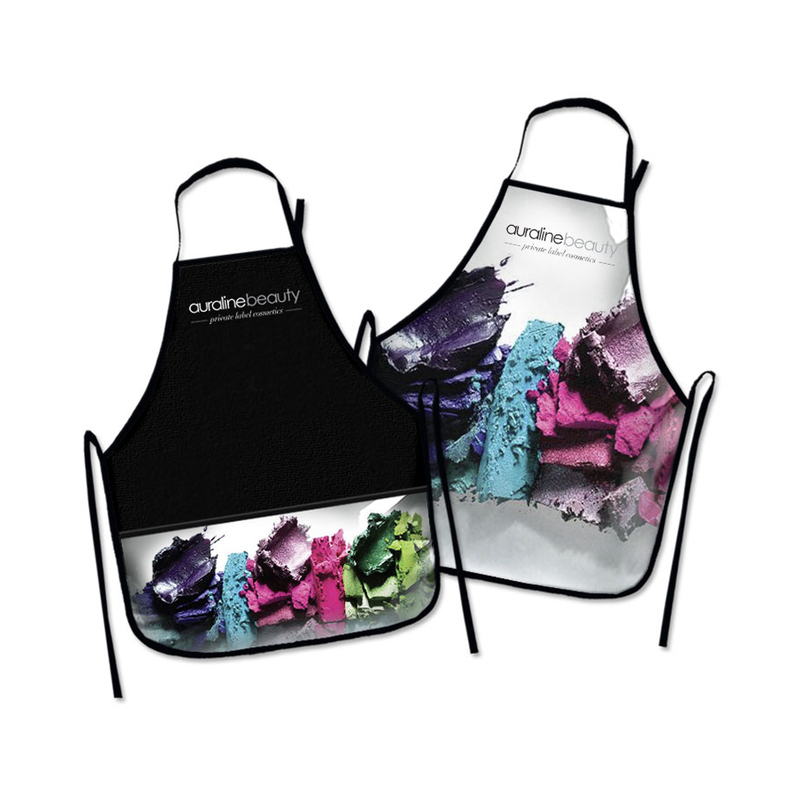 These commercial fully sublimated aprons were a perfect choice for this beauty brand, and provided them to stylists and makeup artists to wear while working at their salons. Made with 7-oz. canvas and featuring a clear vinyl overlay, professionals won’t have to worry about getting product on their clothing. Rugged meets retail. Fashion doesn’t always mean fancy materials and bright colors: For this Tennessee whiskey company, classic Americana is what works best. 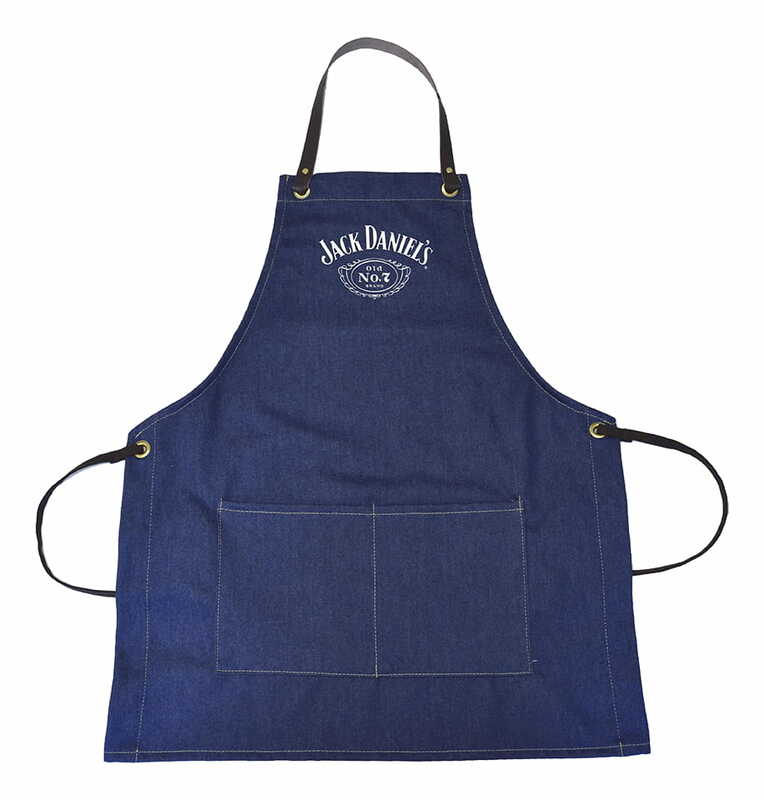 This denim bar apron with real leather neck straps will make even the manliest of men feel snazzy, while metal grommets and metallic embroidery complete the hipster style. Effortless style while preventing spills. This satin waist apron with a 7-oz. black canvas base is the perfect item for bars and restaurants sponsored by or serving this vodka brand. Bartenders can wear these aprons while they work to get patrons’ mouths watering for their favorite alcoholic beverage, while staying protected from knocked-over drinks and spilled cocktails. The largest domestic manufacturer and designer of custom-sewn products, made right in New Jersey. Get access to the most creative design studio in the industry. You imagine it, they’ll make it even better. Get free custom virtuals within 24 hours, or custom-made spec samples within 72 hours. Count on average turnaround times of just 2 – 3 weeks on any order. Don’t spend more on what you don’t need. Minimums start at just 100 units. With LBU’s help, you can start impressing clients today with gorgeous custom products they’d never dream they could make. with one of their friendly Idea Team Members.